A vaccination campaign launches amid escalating risks of rapid spread as new cases are discovered in the densely populated city of Mbandaka. UNICEF and partners are scaling up efforts to contain an Ebola outbreak in the Democratic Republic of Congo (DRC), as news that the disease has spread from a remote area of the country to a major urban center raised the spectre of international contagion. "The next few weeks will really tell if ... we're going to be able to keep it under control," Dr. Peter Salama, the Deputy Director-General for Emergency Preparedness and Response for the World Health Organization (WHO), said in remarks before the WHO Assembly in Geneva. "We're on the epidemiological knife edge of this response." We're on the epidemiological knife edge of this response. The DRC Ebola outbreak is the largest since the West African epidemic of 2013-2016, and the ninth outbreak in the country since the virus was first discovered there in 1976. Of the nearly four dozen cases that have been reported in the DRC since May 8, 27 people have died, including three health care workers. Frontline workers are especially at risk of contracting the virus, which comes from wild animals, and is spread from human to human through contact with blood or other bodily fluids of those who are infected — even the dead. 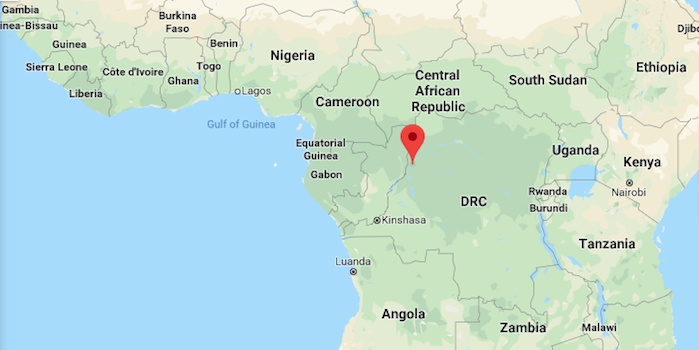 So far, the outbreak in the DRC is confined to the country's Northwestern Equateur Province. The first several cases were traced to the remote villages of Bikoro and Iboko. But then a new case was reported in the Wangata health zone of Mbandaka, a port city with a population of nearly 1.2 million, increasing concerns of a more rapid spread. Mbandaka is located near the well-trafficked Congo River — and just 364 miles north of the capital, Kinshasa, a city of 10 million. UNICEF and partners have dispatched hundreds of community health workers to educate the public about prevention and to support efforts to vaccinate those who may have been exposed. The vaccine is so new it is still considered experimental. In a May 21 tweet, Dr. Salama wrote that the decision to use the vaccine to fight the current outbreak marked "a turning point in how we deal with Ebola. We are moving from a strategy of containment to one of offering communities protection and care." UNICEF is also supporting a public awareness campaign that includes disseminating information so that children and families know how to protect themselves against the disease. “It is crucial that communities understand how to protect themselves at home and in public places, especially in health facilities and schools,” said UNICEF's DRC Representative, Dr. Gianfranco Rotigliano. “Experience in previous outbreaks has shown that when we engage communities in prevention efforts, we stand the best chance of containing the disease." He added: "We will do everything we can to make schools safe and ensure that children’s education is not disrupted." We will do everything we can to make schools safe and ensure that children’s education is not disrupted. Other critical components of UNICEF's response include supplying water purification tablets to treatment centers, installing disinfection points in health facilities and providing handwashing stations in dozens of schools. Some 80 metric tons of aid have already been shipped from Sierra Leone to the DRC to support the response. Learn more about UNICEF's efforts to protect children and their families from Ebola.